Mulching is an excellent lawn care activity to perform in spring and fall for the protection and enhancement of your yard and garden. If you already hired our specialists in lawn care in Vienna VA for spring prep work and mulching, you know this activity comes with great benefits all year long. In case you did not hire our pros yet, here are some benefits of mulch you should consider! How Should You Save Money on Lawn Care in Oakton VA? Experts in lawn care know that most homeowners cannot wait to collaborate with them on their lawns and gardens to turn them into picture-perfect corners of wondrous paradises. However, when it comes to allocating a budget for your yearlong outdoor activities, things can get tricky. You probably spend the most money on water, fertilizers, tools, and all sorts of products and equipment helping you maintain your landscape in tip-top shape. Today, our experts in lawn care in Oakton VA are here to offer some money saving tips in lawn care this year! As we mentioned before, lawn reseeding in spring may be a crucial step you need to take to ensure your yard reaches its maximum potential regarding health, growth, and aesthetics. Applying seeds on bare spots or more extensive areas of exposed soil help you get an even, lush, and thriving yard to enjoy for the entire year. However, many homeowners make a handful of mistakes when reseeding. Our specialists in Lawn Care in Bethesda VA are here today to offer you their advice on how to avoid such errors. Our long waiting for spring is finally over. We can hardly wait for nature to burst with life and enchant us with its colors and scents. But to welcome spring properly, we have to prepare our lawns and gardens and make sure everything is in order. Our experts in lawn care in Potomac VA are here to offer you a quick reminder and checklist of the things you have to consider regarding lawn care this time of year. Can You Recycle Christmas Trees into the Best Lawn Care in Vienna VA Practices? In January one of the critical issues to handle from an environmental point of view is the recycling of your natural Christmas tree. Apart from dropping it off to one of the tree collection centers managed by your local city authorities, you can also take the matter into your own hands: turn the tree into the best lawn care in Vienna VA solutions. How can you do that? Our specialists have the answers for you! Nature sleeps under its blanket of snow this time of year, and we are sure you enjoy the months of no mowing, weeding, and gardening. You may also take advantage of January and the National Mail Order Gardening Month to think about supplies and tools for the spring. However, if you think you are off the hook when it comes to lawn maintenance and minimal landscaping, you are wrong. Fortunately, our team of lawn care in Oakton VA wants to share some winter lawn maintenance tips with you to make your life easy and your property ready to embrace spring! Seasoned homeowners know pruning and trimming of trees and shrubs usually consist of three main stages: late spring, late summer, and late fall. However, more and more horticulturists talk about early and even mid-winter pruning and trimming of trees and shrubs. If you want to comprehend the secrets of cold season pruning – why and how to do it – our specialists in lawn care in Potomac VA are here with some answers and explanations. Few things work better in the organic fertilization category than homemade compost. While in summer, your compost pile benefits from the warm temperatures, in winter, the cold weather slows down bacterial activity, threatening to close your operation until better times. Our experts in lawn care in Bethesda VA are here today to offer you their tips, tricks, and suggestions on how to manage your compost in winter to achieve excellent fertilizer in spring! From interior design to medicine, industry’s standards change annually, and experts reveal the most exciting highlights. 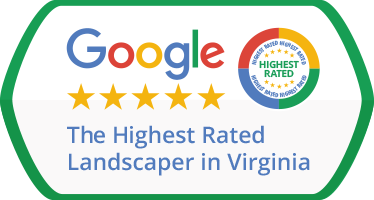 The lawn care and landscaping industries are all the rage right now say our lawn care Great Falls VA experts. The new generation of property owners – young, busy, no-nonsense type of dynamic people – have a whole range of expectations from their lawn service providers. In turn, companies should quickly adapt, improve, and change to stay ahead of the competition. Here are some of the essential selection criteria of a lawn care Great Falls VA company in 2019! Petscaping – preparing an area of your property for pets and kids to play – is one of the essential landscaping trends in 2019. More and more young couples want to find peace and privacy on their properties, without forgetting about their furry friends. According to statistics, more than half of homeowners have one or two dogs around, which need their little corners of paradise to play in and enjoy. If you want to rebuild your property next year according to petscaping trends, here are the things our lawn care McLean VA experts want you to know!